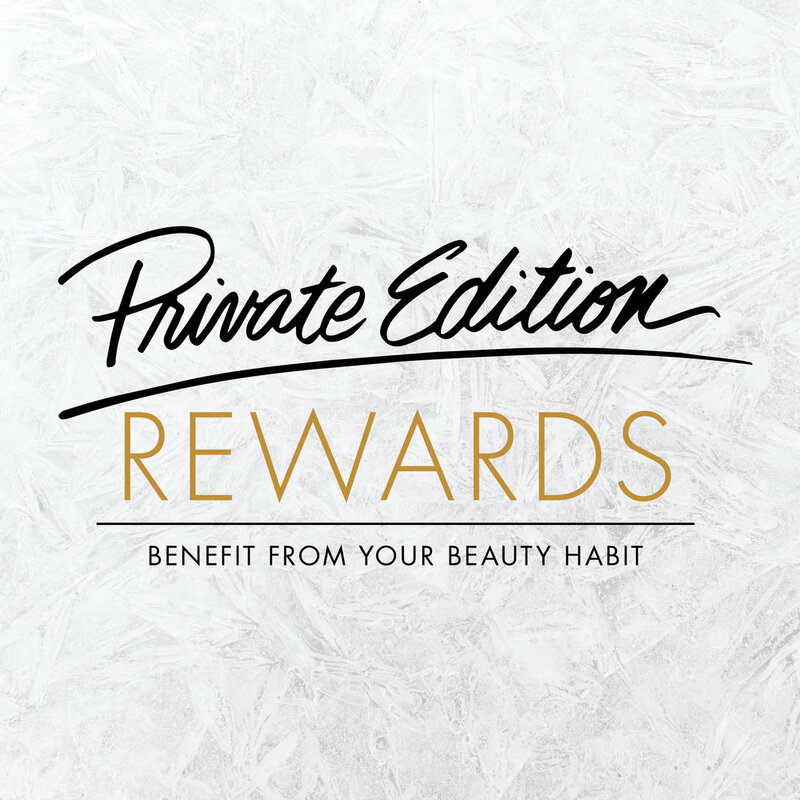 Our PE Rewards Program allows us to reward our customers for their loyalty. Earn 3% back of every dollar you spend to use on future purchases! ACTIVATE - JOIN AND EARN POINTS RIGHT AWAY. SHOP & EARN - EARN ONE POINT FOR EVERY DOLLAR SPENT ON MERCHANDISE. Items excluded from earning points are sales tax, gift cards, tips and services. REDEEM - USE REWARDS ON FUTURE PURCHASES. Private Edition, The Cosmetic Market and Absolution.